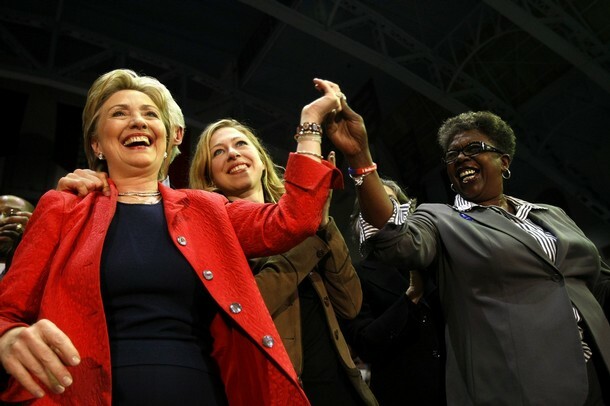 The reaction to the death of Ohio Congresswoman Stephanie Tubbs Jones has been swift. “On behalf of all Members of Congress, I express my deepest condolences on the sudden death of our friend and colleague, Chairwoman Stephanie Tubbs Jones, to all who loved her, particularly her son, Mervyn Leroy Jones, II, and her sister, Barbara Walker. 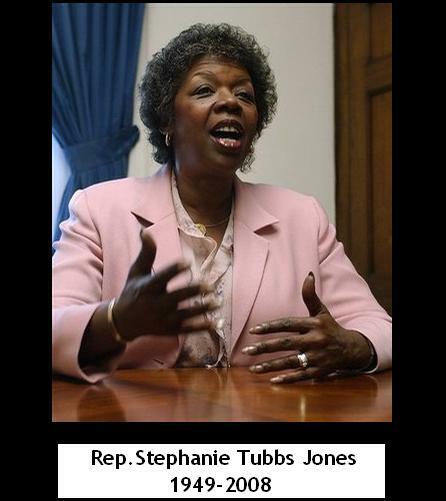 Congresswoman Stephanie Tubbs Jones was a tremendously vibrant presence in the halls of Congress. She believed in all the best things about our nation, and was a tireless force for justice, equality, and opportunity. As a leader in election reform, she fought on behalf of voting rights to ensure that every American voter can vote. She loved her hometown of Cleveland, and she believed that serving her constituents was the best job in the world. “There are few words to express the shock we feel at this time. Our deepest condolences are with Stephanie’s son, Mervyn, her family, and her many loved ones, friends, and supporters. Stephanie’s friendship meant the world to us, a friendship that deepened through every trial and challenge. We could always count on her to be a shoulder on which to lean, an ear to bend, a voice to reassure. Over the course of many years, with many ups and many downs, Stephanie was right by our side—unwavering, indefatigable. It was that fighting spirit—safely stowed behind her disarming smile, backed by so much integrity and fiery intelligence—that allowed Stephanie to rise from modest beginnings, to succeed in public service, to become a one-woman force for progress in our country. Iconic, intelligent, and irreplaceable, Ohio Congresswoman Stephanie Tubbs Jones is being remembered today for her zest for life, law and politics. A trailblazer in law and politics, she was the first African American woman to sit on both Cleveland’s Municipal Court and Cuyahoga County’s Court of Common Pleas. After losing a 1990 race for the Ohio Supreme Court, she entered the race to become Cuyahoga County Prosecutor and served until her election to Congress to replace a legendary member of the Congressional Black Caucus, Louis Stokes. As a member of congress, she became the first African American woman to sit on the House Ways and Means Committee and chair the House Ethics Committee. A fighter of legendary prowess, she challenged the counting of Ohio’s electoral votes in the aftermath of deliberate subterfuge perpetrated by Ohio Secretary of State Ken Blackwell, a black wingnut who subsequently ran for Governor and lost, and his Republican minions who deliberately understaffed polling places with machines and personnel in Democratic areas to create long lines that frustrated voters and compromised their right to vote. Cuyahoga County Commission President Peter Lawson Jones, Cleveland City Councilwomen Nina Turner and Sabra Pierce Scott and State Representative Michael DeBose are some of the obvious names that should be looking into a race to succeed the late Congresswoman. U.S. Rep. Stephanie Tubbs Jones, the first African-American woman to represent Ohio in Congress, is in critical condition after suffering a burst aneurysm last night, officials said this afternoon. Officials updated her condition this afternoon after conflicting reports that the congresswoman was dead. Numerous media outlets – including The Plain Dealer on its Web site cleveland.com, CNN and the Associated Press – reported that Tubbs Jones had died. Tubbs Jones, 58, served as a Cuyahoga County judge and prosecutor before succeeding U.S. Rep. Louis Stokes. She has served five terms in Congress and is expected to easily win her sixth in November. She was driving in Cleveland Heights Tuesday about 9 p.m. when a police officer pulled her over for driving erratically. The officer found Tubbs Jones unconscious but breathing. She was rushed to Huron Hospital. The mood of supporters around noon was somber. Cleveland Councilman Roosevelt Coats was seen sobbing outside the hospital. He said Tubbs Jones was unconscious and her friends and relatives were preparing for the worst. Tubbs Jones has long been one of the region’s most recognizable politicians. Often clad in red — the color of her sorority Delta Sigma Theta — she is a regular at parades, senior centers and schools. Her annual Labor Day picnic at Luke Easter Park is a must-stop for any serious Democratic candidate running in the city, county or state. She has been outspoken in her support of black candidates. She backed Raymond Pierce in his unsuccessful bid for mayor in 2001. Four years later, Tubbs Jones played a key role in helping Frank Jackson defeat Jane Campbell. She also stumped for countless black judicial candidates. Tubbs Jones drew attention this year for her staunch support of U.S. Sen. Hillary Clinton’s bid for the Democratic nomination for president. Tubbs Jones drew some criticism for her support of Clinton and not U.S. Sen. Barack Obama. Her husband, Mervyn Sr., died unexpectedly in 2003. UPDATE: Stephanie Tubbs Jones has passed. U.S. Rep. Stephanie Tubbs Jones’ family and officials at Huron Hospital have announced that the five-term congresswoman has died. Tubbs Jones Family, Huron Hospital and Cleveland ClinicAugust 20, 2008 – 6:40 p.m.
“Throughout the course of the day and into this evening, Congresswoman Tubbs Jones’ medical condition declined. Medical doctors and neurosurgeons from Huron Hospital and Cleveland Clinic sadly report that at 6:12 p.m. Congresswoman Stephanie Tubbs Jones died. She dedicated her life in public service to helping others and will continue to do so through organ donations. Suffering from foot in mouth disease, due in part to their fear of losing their imperial grip on the Presidency to someone else, the Clintons have managed to piss off a power broker in their most loyal constituency-African Americans. Congressman James Clyburn, the House Majority Whip and the most influential and highest ranking African American on Capitol Hill, ain’t a happy camper at all. He is so displeased that he is seriously considering changing his neutrality in the Presidential nomination free for all. I think that the Congressman is sending a warning to the Clintons that they had better heed. If they don’t, he will use his considerable clout against them and could bring the rest of the undecided membership of the Congressional Black Caucus with him. On the other side of the ledger, Black Congressional surrogates are turning up with regularity to chew the fat on MSNBC. Gregory Meeks and Stephanie Tubbs Jones appeared today to defend the Borg Queen and her consort. Congresswoman Jones was aggressively negative saying that while Barack Obama talks about change, Hillary makes change. She also defended the Clintons foot in mouth remarks that pissed off James Clyburn. I like Stephanie Tubbs Jones and Gregory Meeks, but I have a deep seated mistrust of lawyers hooked up to the criminal justice system. Both Meeks and Jones have been prosecutors and I ain’t got no love for that. It’s one thing to criticize Barack Obama, as I’ve done, for his departures from the progressive black consensus, its quite another to be a flack and volunteer handkerchief head defending the indefensible Clinton juggernaut. The Marion County Democratic Party has set a January 12th Caucus to choose a nominee in the special election to replace the late Congresswoman Julia Carson in accordance with state law. It became public during the remarks of Congresswomen Stephanie Tubbs Jones and Carolyn Cheeks Kilpatrick that Mrs. Carson wanted her grandson, Andre Carson, an Indianapolis City-County Councilman, to replace her in congress after her passing. Both women expressed their support as did former Congressman Andy Jacobs, and State Rep. Vanessa Summers. A pending announcement of Andre Carson’s candidacy should be forthcoming early in the new year. The blog Advance Indiana is making hay of Andre’s former ties to minister Farrakhan’s Nation of Islam. I don’t expect that to pose a problem that can’t be overcome. Minnesota Congressman Keith Ellison, the first muslim elected to congress, was formerly a member and he firmly distanced himself from the organization and its divisive agenda. Lastly, news comes from Blue Indiana that State Rep. David Orentlicher has filed for the Carson seat with the FEC. Others are surely to follow once Andre Carson signals his intentions. Marion County Treasurer Michael Rodman, an African American, has signaled his intention to seek the seat but has not filed any paperwork.